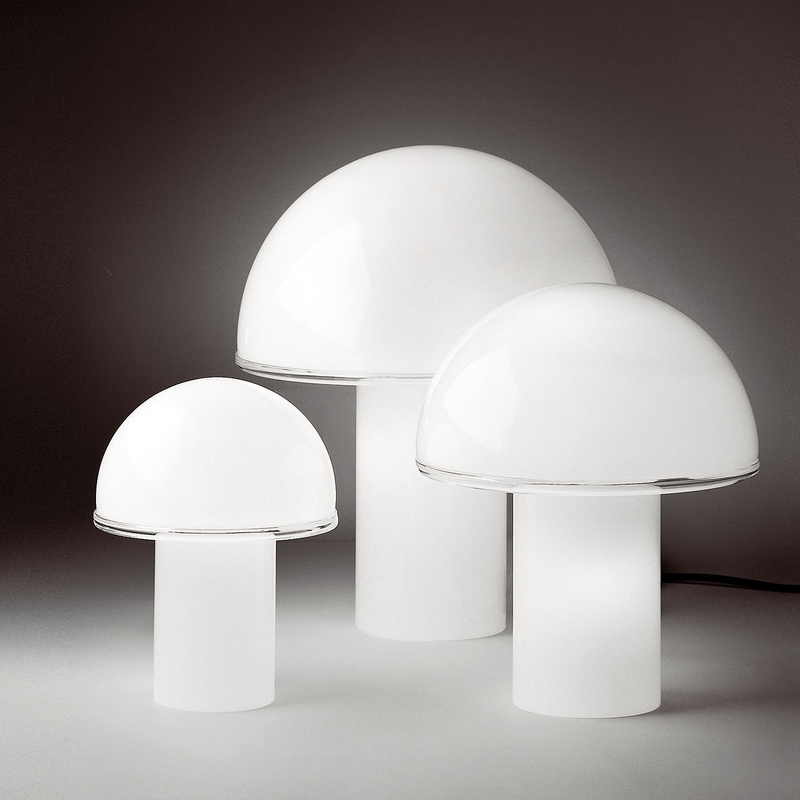 Two bulbs stuck in Onfale tavolo grande by Artemide. The trick: Not only the screen, no, the whole lamp glows when printing on the switch. High quality opal glass guarantees a particularly pleasant, diffused light. Artemide Onfale tavolo grande is made entirely of glass: Even the transparent edge, which is the special of the screen Onfale tavolo grande something is made of crystal glass.